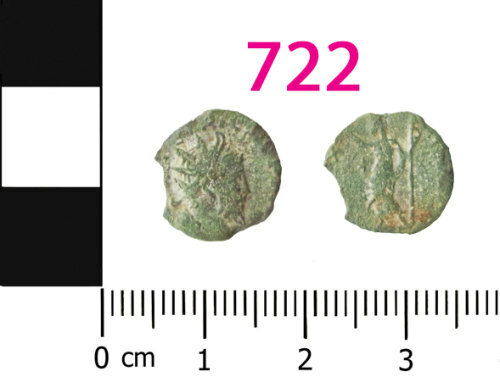 Copper alloy barbarous radiate copying Tetricus I (AD 271-274) dating to AD 275-285 (Reece Period 14). Reverse type: PAX AVG. Copper alloy barbarous radiate copying Tetricus I (AD 271-274), dating to c. AD 275-285 (Reece Period 14). Reverse prototype: PAX AVG.